All hotels in Budapest and Hungary. 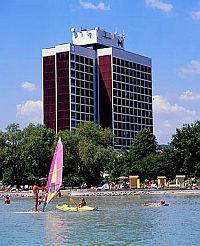 Lake Balaton and Budapest are the most popular travel destinations of Hungary. 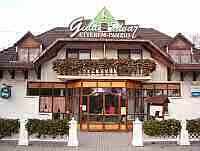 The country's pleasing landscapes, historical heritage, gastronomy, folk art, health-, sport-, spa and wellness opportunities are equally wooing features for tourists. 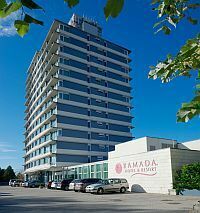 There is a wide range of excellent hotels in Budapest and countryside. 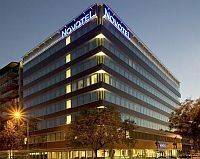 All hotels in Budapest and Hungary are well equipped accomodations, which are available in each category for a reasonable prices. With our selection 'All hotels in Budapest and Hungary' we aim to help you to make your choice simple, fast and right amongst available possibilities, to ensure perfect relaxation in cosy environment, at reasonable price. Visit Hungary! Find out more about our special offers! 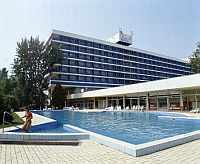 Three-star Hotel Pontis opened in 2004 is located only 15 minutes driving from Budapest, in Biatorbagy. 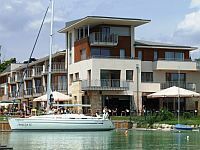 Hotel Pontis offers 36 twin rooms, 4 apartments, a restaurant, breakfast room, swimming pool, sauna and solarium. Guests can park their cars in the guest parking area observed by cameras. 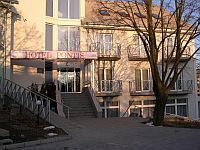 Hotel Pontis is an ideal venue for business meetings, seminars and other events.